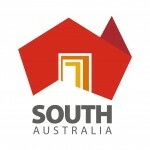 TDRF is pleased to participate in the 2019 South Australia’s History Festival. Housing the late David Roche’s collection, Fermoy House and Museum walks the line between displaying an everyday life in extraordinary settings, and the reverence of superlative objects. On 2 May and 4 May, Architect David Burton will talk on how Local Heritage and Cultural History influenced the making of the TDRF House Museum (includes both a House and Museum tour with David Burton and Robert Reason, TDRF Acting Museum Director.